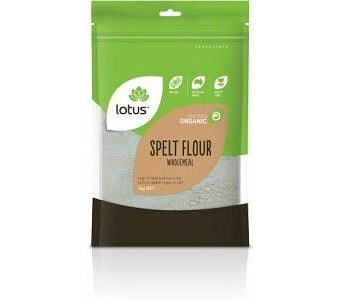 Lotus Wholemeal Spelt Flour is high in fibre and low in fat, with no added sugar or salt. Ingredients: Organic Milled Spelt Grain. No Preservatives or Additives. Certified Organic by NASAA.